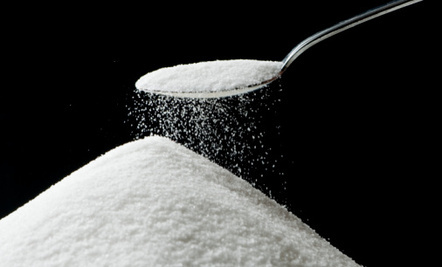 Sold commercially under names like NutraSweet, Canderel, and now AminoSweet, aspartame can be found in more than 6,000 foods, including soft drinks, chewing gum, table-top sweeteners, diet and diabetic foods, breakfast cereals, jams, sweets, vitamins, prescription and over-the-counter drugs. This video will familiarize you with some of the terrifying side-effects and health problems you could encounter if you consume products containing this chemical. In recent years, food manufacturers have increasingly focused on developing low-calorie foods and drinks to help you maintain a healthy weight and avoid obesity. Unfortunately, the science behind these products is so flawed; most of these products can actually lead to increased weight gain! For example, researchers have discovered that drinking diet soda increases your risk of metabolic syndrome, and may double your risk of obesity – the complete opposite of the stated intention behind these “zero calorie” drinks. Oh, and what's scary is that nutritionists all over my city will tell over weight people to have diet soda and buy artificial sweeteners to help lose weight, and swear by it. And 2 medical doctors have told me that aspartame and other fake sweeteners break down into a similar chemical as formaldehyde. So you're literally pickling yourself by consuming "diet" sugars. Sure, some may lose weight, but then get cancer instead. I'd rather be a little fat, thank you. Plus, the sweet taste makes your brain think you need insulin. So your brain tells your pancreas to make more. When there is no sugar for the insulin to consume, it triggers a message back to your brain that you need starch, because your blood sugar drops. Just drink regular stuff, and keep it to a moderate level. If all else fails, just go for a walk. No gym passes, no time constraints, do it at your own pace at your own convenience. And you'll lose weight. Ask a friend to join you, and it's even better. "Begin with a shred of truth, and then spin it to fit your own agenda"....scary business!Consumer beware! Real sugar all the way!